Pictured above: Close-up of an N64 shell that’s actually housing a gaming PC. See the full image on Istartedthewar’s imgur. Here’s a great way to trick people into thinking the N64 is capable of running new PC games, without using any emulators. 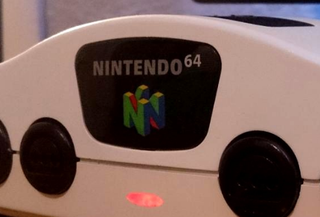 Modder Istartedthewar has hidden a small PC inside an old Nintendo 64 and has nine images at this link that show what’s inside. From the outside, it looks like a white Nintendo 64 console, but inside, it’s definitely a PC, as you’ll see. Note: Several photos of the mod were removed from this post following a copyright notification.